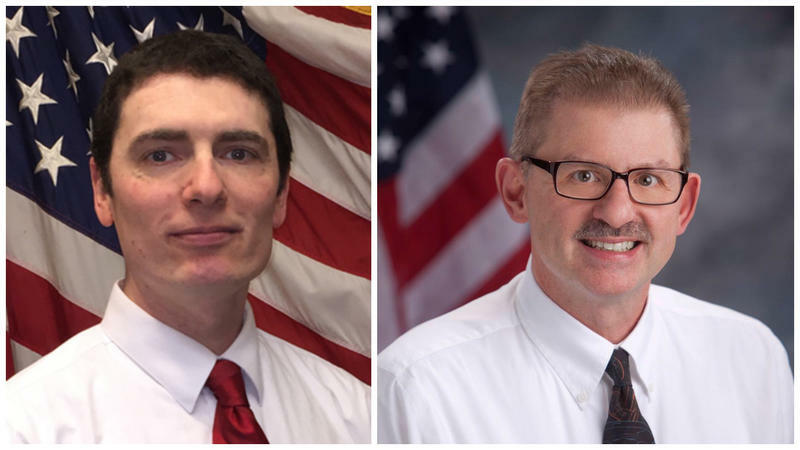 House Speaker Paul Ryan of Janesville has been spending the summer fending off a challenge from a political newcomer in Tuesday’s primary election. Ryan has held Wisconsin’s 1st district congressional seat since 1999 and has never had a problem getting re-elected. But this year, outside money is pouring in for Ryan’s opponent Paul Nehlen, a business executive from Delavan. While Nehlen is viewed as a long shot, Ryan isn’t taking anything for granted. Paul Nehlen announced his bid for the congressional seat earlier this year to little fanfare. But the race heated up in the past week, when GOP presidential nominee Donald Trump initially refused to endorse Ryan. 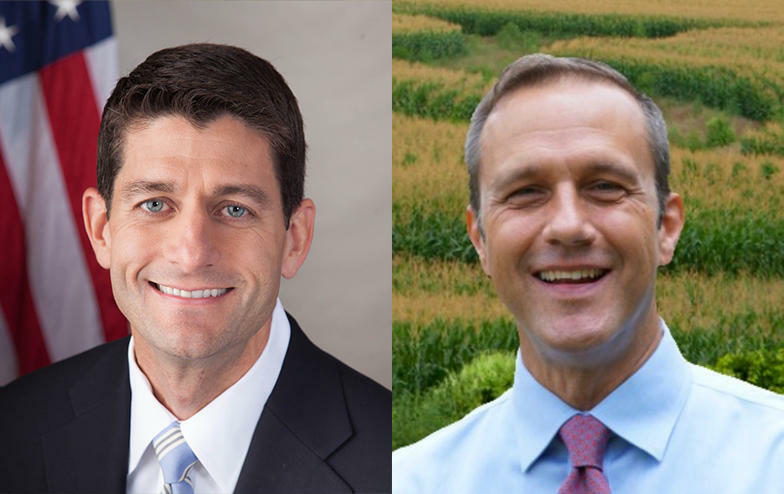 Nehlen seized the opportunity and attacked Ryan on Fox News, criticizing his support of trade agreements. “Paul Ryan has negotiated the worst trade deal in our lifetime. It gives up U.S. sovereignty. It gives our jobs away and people are tired of this soulless globalist agenda of sucking America dry and sending our jobs overseas,” Nehlen says. Nehlen also implied that Ryan is soft on immigration and called him the most open border member of Congress. Ryan dismissed Nehlen’s comments on a radio show in Green Bay. “For the record, no, I am not for open borders. We added 1,000 more border patrol agents to the appropriations bill just last year in December. Not to mention I voted for the fence and everything else,” Ryan says. Both candidates have been airing TV ads with Ryan reportedly spending $600,000 on them in the past month. Nehlen is getting much of his money from out of state contributors. And, some high profile surrogates have been helping Nehlen campaign, including conservative political commentator Ann Coulter. She spoke at a rally for Nehlen in Kenosha over the weekend, blasting Ryan for his position on trade. “When these plutocrat Paul Ryan Republicans win you don’t win. Your kids are boxed out of college. Your job is outsourced, your job is taken by a cheaper foreign replacement,” Coulter says. At the same time, Wisconsin politicians have jumped to Ryan’s defense, including Sen. Ron Johnson. He campaigned with Ryan on Friday. “He’s a person of integrity, ideas, intelligence and courage and that’s exactly what we need in leadership, people who are willing to tell the American people the truth, so I’m a big supporter of Paul Ryan,” Johnson says. UW-Milwaukee Professor Mordecai Lee doesn’t think Ryan is in jeopardy of losing his seat. He says Ryan continues to enjoy favorite son status in his hometown. “We’re all familiar with the phenomenon of the incumbent who’s stayed too long, a member of Congress who lives full time in Washington, who’s not very visible in the district in terms of public appearances or media relations and that does not describe Paul Ryan. Paul Ryan is a member of the Tuesday-Thursday club. He lives in the district, he’s there every weekend, he’s got plenty of money and he doesn’t take anything for granted. I can’t imagine that he’s in trouble,” Lee says. Lee notes that a couple of polls show Ryan way ahead, garnering at least 70 percent of the vote. If Ryan gets past the primary, he’ll certainly face a Democrat in November as two are on the ballot in Tuesday’s election. There’s been a lot of attention given – both nationally and locally – to the race for Congress in Wisconsin’s first district. The seat is currently held by the Speaker of the House, Republican Paul Ryan, and much of the attention has been focused on Ryan's primary campaign against challenger Paul Nehlen. That race has been seen as a proxy in some ways for a broader divide among Republicans over Donald Trump’s presidential campaign. Republican presidential candidate Donald Trump formally endorsed House Speaker Paul Ryan for re-election on Friday night, after refusing to do so just days ago. "We will have disagreements but we will disagree as friends and never stop working together toward victory," Trump said, delivering prepared remarks during a campaign rally in Green Bay, Wis.
"So in our shared mission to make America great again, I support and endorse our speaker of the House, Paul Ryan. He's a good man," Trump added, flashing a grin and two thumbs up to a crowd in applause.